http://www.harperstrail.com/ Harper&apos;s Trail Estate Winery is located just outside of the City of Kamloops on the banks of the South Thompson River. This is a striking estate winery set against dramatic clay foothills. Covered with sage and antelope brush these hills perfectly frame the the lush and expansive vineyard. As an emerging wine region, the Harper&apos;s Trail wines reflect the minerality and crisp acidity that are becoming known to exemplify the South Thompson area. 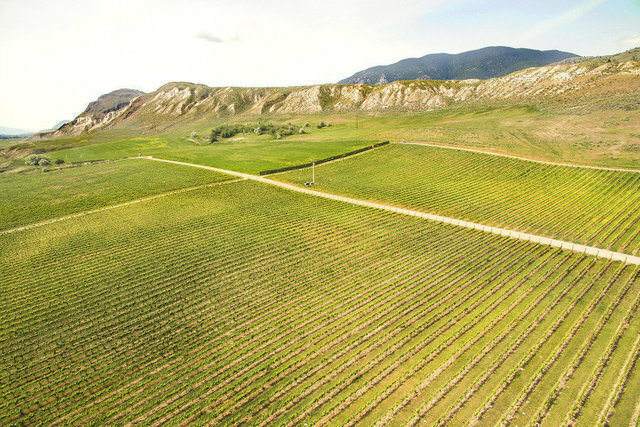 The vineyard which was originally planted in 2008 greatly benefits from the underlying limestone and approximately 46 acres of the property is estimated to be suitable for vineyard expansion. There are three water permits which include natural spring, well and river. Harper&apos;s Trail opened their vibrant tasting room and outdoor picnic area in 2012. The wines are highly regarded and have established restaurant, LRS and direct sales. On-site production facilities and warehousing provide a strong basis for future expansions. Please contact us for a complete listing package.